In 2015, Hines acquired a 64-acre parcel of land known as Davenport Downs in Nashville, TN. The project was developed in three phases and consists of 58 single-family residential units. 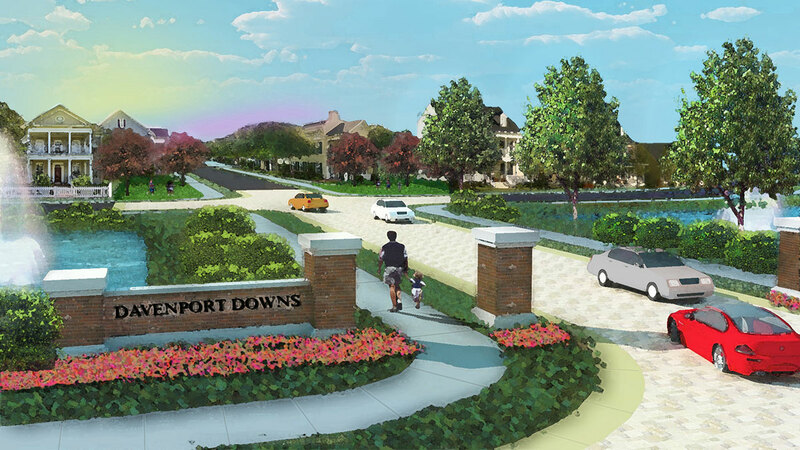 The Davenport Downs community is located approximately 15 miles southeast of downtown Nashville and midway between downtown Nashville and The Avenue Murfreesboro, the lifestyle center owned by the Hines Global REIT. Hines sold Davenport Downs in October 2018.